Yoren builds customized solutions around mobile CRM for convenience store chains, retailers and respectable brands. Our end-to-end smart retail solution covers from customized mobile platform development, big data analytics, mobile marketing to AI and machine learning technology used in offline retail stores. Our solution is used by top retailers and brands including Lawson, Muji, Mini Stop, myNEWS.com, Shiseido and Unicharm. We manage growing millions of members and thousands of store outlets. Founded in 2011, we are fast-growing international team of talents from top organizations such as Mckinsey & Co., Grab, Rakuten, MIT. We have offices in Thailand, China and Malaysia. Join our team to make an impact to the retail industry with cutting-edge technology in the new retail era. Read more about Yoren (Thailand) Co., Ltd.
Read more about บ. เจนโทเชีย จก. PCMI Corporation (Policy Claim Management International) is the leading provider of integrated software solutions for Extended Warranty management and F&I administration. PCMI is operated under the leadership of our President & CEO – Mark Nagelvoort, along with his dedicated executive team who have worked alongside him in the industry for 20+ years. Currently, we have 3 office locations: Chicago (USA), Krakow (Poland), and Chiang Mai (Thailand) with dedicated teams working around the clock to service our clients. At PCMI, we are passionate about supporting our clients’ growth by offering innovative technology and software solutions to help our clients expand into new markets or add additional products. Our mission is simple – to be Your Technology Partner and help you get to where you want to be by offering administration, risk management, reinsurance and CRM tools. To continue in our pursuit for breeding new technological strategies for TPAs, OEMs, and Insurance Companies in both the Automotive and Consumer Industries. PCMI will achieve this by offering best-in-class enhanced Extended Warranty Administration Solution to our clients and strategic partners across the globe. 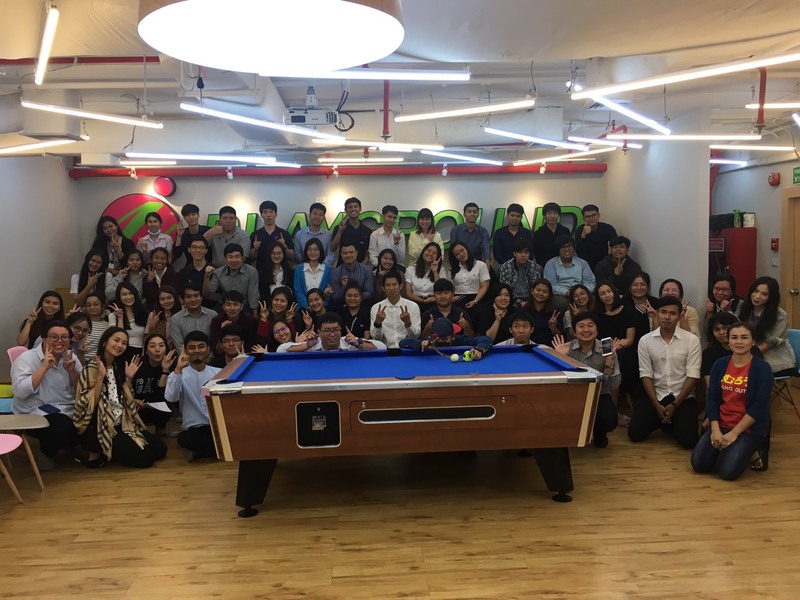 Read more about Refactor Prime Co., Ltd.
ตั้งอยู่ใจกลางเมือง สวัสดิการดี เดินทางสะดวก (BTSอโศก/MRTสุขุมวิท) บรรยากาศการทำงานเป็นกันเอง เหมือนเป็นครอบครัวเดียวกัน หากคุณเป็นคนรุ่นใหม่ ไฟแรง ต้องการงานท้าทาย มาร่วมงานด้วยกัน !! We build successful businesses by identifying big problems in the market and how technology can be applied to solve those pain points. When one shows a great promise, we recruit a great team, spin it off into a company, and help them grow. The Central Group consists of a variety of diverse investment in various corporations, each of which has become the leader in the retail, property development , hospitality , food and beverage industries. These complementary businesses continue to strengthen our position in the marketplace both domestically and internationally. In 2014, Central Group revealed the organizational restructuring to streamline. 9 new business groups such as Central Department Store Group (CDG), Central Food Retail Group (CFG), Central Hardlines Group (CHG), Central Online (COL), Central Pattana Group (CPN),Central Marketing Group (CMG), Central Hotels and Resorts Group (CHR), Central Restaurants Group (CRG) and Central Group (VIETNAM) to spearhead the conglomerate at global level , focusing on sustainable growth with strategy of excellence in "Branding","People","Synergy" and consolidating the strength of Central Group "to be Number One" under the concept of "One Group".